In a move that made us go "WTF" internally, Razer has decided to test their fanbase's loyalty more so than ever before. 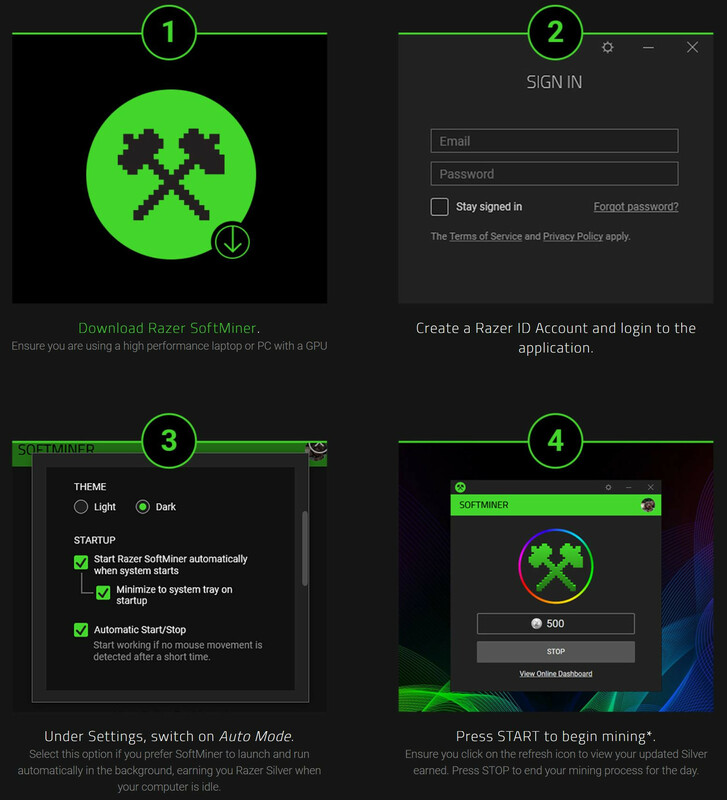 Today, the company introduced Razer Softminer, a mining software program that is intended to be installed on computers and run to mine cryptocurrency. But instead of the users getting whatever new cryptocurrency is in fashion, Razer instead wants to retain all mined crypto and in turn "award" users with the so-called Razer Silver- loyalty reward credits, in their own words. The miner appears to be running off a version of the Gamma desktop application, as per speculation from TweakTown. Razer Softminer utilizes heavy GPU performance loads, and there is no mention as to what the actual mining is for. It is clear, however, that the users are not mining Razer Silver (which Razer is quick to admit is not cryptocurrency) and these loyalty credits are handed out in an equivalent manner based on the mining power of the system. 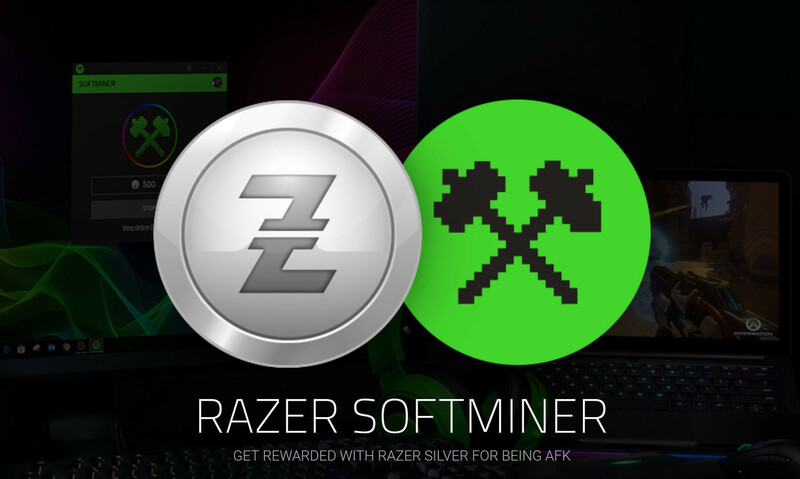 In their estimate, a sytem with at least a NVIDIA GTX 1050 or AMD RX 460 running the mining program for a whole day will net ~500 Razer Silver, and these can be used to "redeem Razer peripherals, digital rewards such as games, vouchers and more" from a dedicated rewards page. Razer Silver expires after 12 months from the date of earning, which makes this all the worse given the least expensive rewards include small-scale PC games at 21,000 Silver (~40 days of continuous mining for games that can be bought for $10-15 without discounts) and Razer's own products will take a lot, lot longer (over one year in some cases). This reeks of desperation for liquid cash, an unwise move in this time of low cryptocurrency interest and value, and overall little regard to their fans. Hopefully, no one ends up taking up Razer on this until we get more clarification on what the miner does for them, and even then it needs to be a lot more lucrative to interest most people. Not only sell overpriced products but also try to instantly get money even after the purshace?! I wounder if they work it like air miles haha, trying to be positive here i guess at least they are asking lol. But still say 70% of owners decided yes will the others be forced to as well ?, and if not will the default be on or off as some people might not be aware of this BS. Well for me never plan to buy another Razer product after having 4 mice and 2 keyboards fail in a pretty short time. My one Roccat mouse has thus far outlived 4 of my previous Razer DeathAdders. Build quality was never really Razer's thing. I hate razer, and this just fuels my hate towards them. Anyone using this should be banned from using a PC and instantly given a free console. Can't we think up a PEGI rating for that based on IQ? Reading the title made laugh. OMG! cryptocurrency is THE future again! I have to buy at least ten RTX 2080Ti and start making millions, no billions! Gives me more reason to stay away from their products. I've never owned a Razer product and I think I never will. Razer makes crappy products quality vise, my son has broken 2 mice’s and one Razer keyboard, and before them he had a plastic "gaming keyboard and mouse" from our local Supermarket that is still working well, and now he is using a used Logitech that is also working well and have done so for over a year. . And now this….. Razor=FancyCr...p..
Razer: Crap quality, awful software, overpriced products, overhyped as a brand. I still cannot accept that marketing alone can make a company like Razer, a big name in the industry. Considering this comes from the same company that introduced synapse I'm not surprised. Just another reason to steer clear of this garbage brand. At one point in time Razer did make some cool products. That was well over 10 years ago. Synapse was by far the worst thing they came up with. Once that rolled around I never bought another Razer product, I even stopped using the ones I had. A lot of people like talking up Logitech but their proy aren't that great either, they make a lot of mass produced products so they don't have great quality control anymore either . Corsair has awful support and glitchy Bluetooth devices. All that said, these days it's hit or miss but Razer ranks among the worst for me, I favor Steelseries and Das these days. i just bought a $250 Au razer (Nari, but not the ultimate) headset, and the mic was total garbage and worse than $20 analogue crap. It's not just marketing. People have short memories. To them, something expensive made of PREEEMIUM materials is quality, not something that lasts a long time with regular use. See also: the smartphone world, apple's macbooks with butterfly keyboards, disposable "SMART" appliances, ece. Razer is like the Apple for Windows dedicated products. Except that Apple is making good product and stable environment for their apps (even if I find it too pricey still).